Easily turn it into a portable movie player with this mediAvatar DPG Converter for Mac. 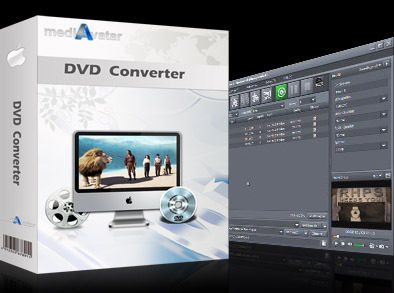 mediAvatar DPG Converter for Mac can convert almost all format videos to DPG, DPG2, DPG3, or DPG4 videos, or convert video files to MP3 or MP2 audios, or convert from WMA, WAV, M4A, AAC, AC3, OGG, CUE, APE, and CDA audio formats to NDS supported audio formats. mediAvatar DPG Converter for Mac allows adjusting FPS (frames per second) and bit rate, ensuring you clearer and smoother played DPG videos especially converting animations to DPG videos. Load as many video files as you want, and convert them to DPG videos at the same time. Allows you to set the FPS (frames per second), bit rate and other parameters, thus convert videos to DPG with optimal quality. Compute the video bit rate by file size you enter using the built-in Bitrate Calculator tool to get the size you want. Extract and convert any segment in a video to DPG movie by setting the start time and duration before converting. Mod Converter for Mac - Convert .mod to avi/mpg/mp4/mov/flv/rm/wmv on Mac OS. Qweas is providing links to mediAvatar DPG Converter for Mac 6.5.5.0428 as a courtesy, and makes no representations regarding mediAvatar DPG Converter for Mac or any other applications or any information related thereto. Any questions, complaints or claims regarding this application mediAvatar DPG Converter for Mac 6.5.5.0428 must be directed to the appropriate software vendor. You may click the publisher link of mediAvatar DPG Converter for Mac on the top of this page to get more details about the vendor.